You can know something about everything or know a lot about something. We decided on the latter and concentrated on VAT law, customs law and criminal law. Founded over 10 years ago, KMLZ has become synonymous with VAT. Today our team of more than 35 professionals in Munich and Düsseldorf, works on both national and international cases, predominantly in the fields of VAT and customs law. Our specialization is the basis for the qualified, practical and successful advice we offer our clients. We do not use the subjunctive form. We provide you with clear statements. We commit ourselves because we are convinced. We will demonstrate our conviction – at home and abroad, before the tax authorities, and if necessary, also before the courts. We advise our clients on matters in Europe and worldwide. 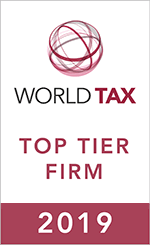 We can draw on a strong network of experienced and leading VAT experts, in all Member States of the EU and beyond, to provide our clients with international advice at the highest levels. Rely on our expertise and thereby avoid time-consuming research and unnecessary risks. Treat us as your outsourced VAT department.